Back in April of 2016, we announced that we’d been selected by Goodsill Anderson Quinn & Stifel—one of Hawaii’s oldest and most established law firms—to develop and launch a new global brand strategy. At that point, the Stackpole team was on its way to Honolulu to meet with Goodsill leadership and to conduct a comprehensive brand perception analysis. Today, we’re pleased to reveal a dynamic new website, a teaser campaign to build anticipation, and a subsequent full campaign to be launched across a number of print and digital outlets. 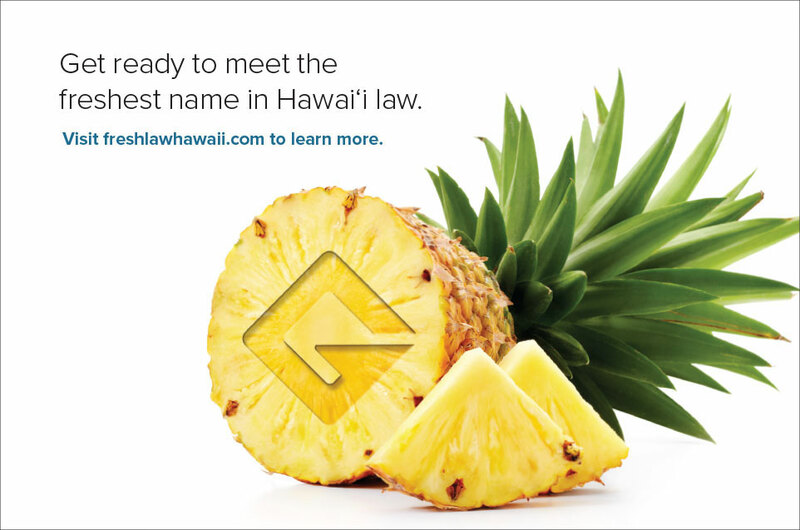 Announcing that “The preeminent name in Hawaii law is now the freshest name in Hawaii law,” the new campaign has helped to distinguish Goodsill from its competition and to reveal the firm’s solid footing in the Hawaiian culture. We’d love to tell you more about it here, but thought you’d like to check out the new Goodsill website for yourself, and also to read our new Case Study where you can get all the details.